What can Entertainment-Education (EE) do for me as a participant? Which results, experiences, theoretical framing and lessons are available in the field of EE? As a media professional, which skills do I need to develop an EE intervention? How can I conduct an EE media plan considering a social theme? The collaborative training team, which consisted of Martine Bouman and Sarah Lubjuhn of the CMH, Arvind Singhal of the Social Justice Initiative, El Paso, TX, USA and Annette Noten (anthropologist), trained two groups using the specially-designed program. 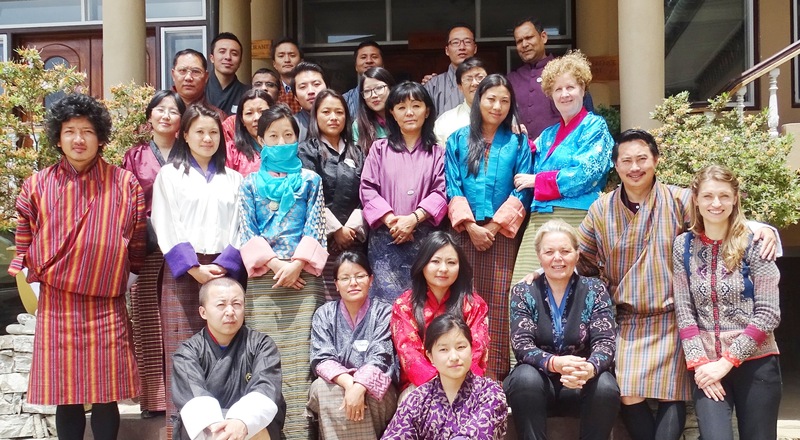 Radio and television producers of the Bhutan Broadcasting Service (BBS) made up the first group. The second group consisted of independently established producers, representatives of social and health organizations and employees of the government and UNICEF/UNDP. The training was made possible with a grant from Nuffic. “I have attended so many workshops, but this one was very special to me. What I loved about it was the content, the design and the people – wonderful!” (Participant 1). “The training was very fruitful and engaging. During the training, I rediscovered the reason why I became a producer. I want to apply the things I have learned about Entertainment-Education immediately” (Participant 2). “During this workshop I naturally learned about Entertainment-Education through interaction with others. 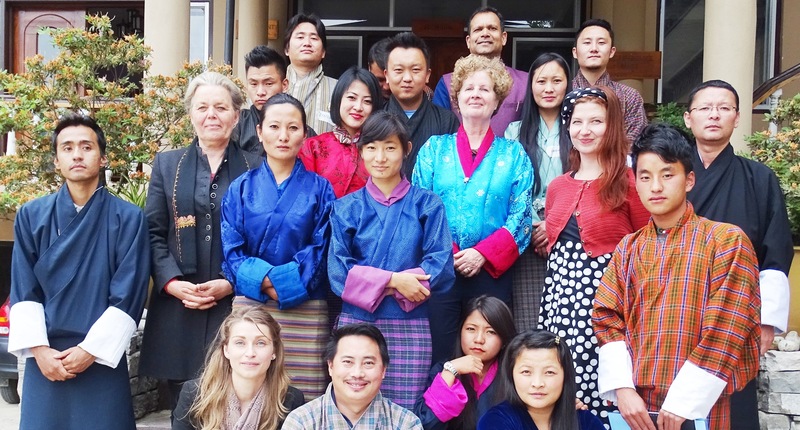 I feel that we are all friends aiming for the same goals in the Bhutanese society. I want to continue and strengthen this collaborative journey” (Participant 3).